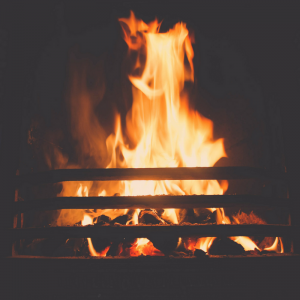 One of the most important and often neglected items to check off your pre-winter check list is to have your fire place or wood stove flew cleaned and inspected. It is recommended that a chimney be inspected and cleaned every year prior to its use. Chimney fires are the result of a buildup of creosote, a carbonaceous material that promotes combustion. It’s important to understand why this material can build up. If the fires’ air supply is restricted by closing the doors too soon, by failing to open the damper wide enough, or there is a lack of sufficient make-up air, the more likely is it that creosote will form. Burning unseasoned wood can also promote creosote because so much energy is used initially just to drive off the water trapped in the cells of the logs. In the case of wood stoves, overloading the firebox with wood to get a longer burn time also contributes to creosote buildup. Chimney fires can burn explosively – noisy and dramatic enough to be detected by neighbors or people passing by. Flames or dense black smoke may shoot from the top of the chimney. Homeowners report being startled by a low rumbling sound that reminds them of a freight train or a low flying airplane. However, some chimney fires go unnoticed altogether. The high temperatures at which these fires burn (around 2,000°F) can melt mortar, crack tiles, cause liners to collapse and damage the outer masonry material. Double walled stainless-steel flue pipe, which is todays standard, is a lot less susceptible to damage. But over time, it will degrade if it has been exposed to an undetected flue fire. Older pipes, however, cannot withstand extreme temperatures and can warp, buckle and even burn through. Sections can separate from vibrations created by air turbulence during a fire. If you experience a chimney fire, it’s very important to call 911 immediately. These fires progress rapidly and usually have gone undetected for a while. Put water on the fire, not to extinguish it, but to drive steam up the pipe in hopes it will cool the flue pipe. If you suspect the fire has breached the pipe and is now in the wall, roof or soffit, it’s time to begin your emergency evacuation plan. Preventative maintenance gives peace of mind.